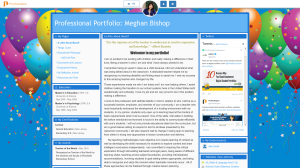 Why Create a Digital Portfolio Website? 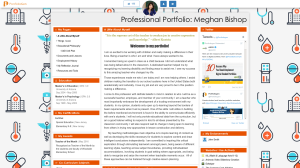 Online digital portfolios (e-portfolios) let educators, students and professionals showcase themselves to employers and provide an opportunity for reflection and continued professional growth. Developed by teachers, PortfolioGen makes it easy for users to create a digital portfolio and add portfolio pages, upload documents, insert photos and links, embed videos and add relative content to build a comprehensive online portfolio website that users can customize and design to reflect their own personal style. Get started by creating your portfolio. Easily add content and information to your portfolio. Personalize your portfolio design and layout. Share your portfolio URL with those you want. Create and add individual pages to your portfolio website. Add your own content with an easy to use WYSIWG editor. Upload documents to your portfolio, including resumes, transcripts, lesson plans, assessments and coursework. If you require additional privacy, you can password protect your entire portfolio or individual uploaded files at anytime. Add your education, institutions, degrees, GPA, certifications and subjects and co-curriculum subjects. Upload photos and embed videos directly in your portfolio and add captions to help showcase your works and achievements. Easily send endorsements request to peers, colleagues and teachers for inclusion in your portfolio. Include a journal page in your portfolio that will allow you to create and add daily posts as well as invite feedback. Include sections in your portfolio that display your goals, skills, interests and awards. Add an employment history section in your portfolio that includes job title, description and employment dates. Create lists of your favorite books and reading material. Easily embed a Twitter timeline into your portfolio. Include a section in your portfolio that displays all your athletic achievements. Create a optional public profile to connect with other users and share information. A recent survey shows 85% of all jobs are filled through networking. 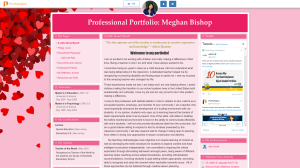 Customize and personalize your portfolio design. Change colors, background images and layouts. Responsive design ensures it looks great on all devices. Your message center allows your portfolio visitors to contact you. You can also see statistics on visitors who view your portfolio website. Showcase your skills and achievements with current and future employers and peers. Archive and document your skills and achievements for personal reflection. PortfolioGen offers sample themes that can be modied or you can easily create your own. Here a few of those themes. This website is amazing! Having an online portfolio to show in interviews is very beneficial. This has been the easiest way to portray my achievements to my future employers. In a world of conventional portfolios, it's difficult to stand out. PortfolioGen gives professionals, teachers, students and educators an opportunity to showcase their skills in a modern and unique way that goes beyond traditional binders. Initially created for teachers, educators and students, PortfolioGen allows anyone to create their own online portfolio. With over 106,000 users from over 110 countries, PortfolioGen has become the preferred online digital portfolio resource for teachers, students, educators and professionals. 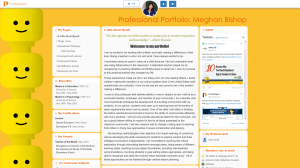 Developed by teachers, PortfolioGen makes it easy to create a customized e-portfolio to showcase and share your skills, education, work experience, achievements and provide an opportunity for reflection and continued professional growth. We are passionately dedicated to simplifying portfolio website creation while providing our members with an abundance of exciting features. Show the world who you are and what you have accomplished with PortfolioGen. What people say about PortfolioGen? 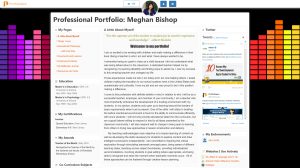 I believe my Portfoliogen e-portfolio helped me secure a teaching position. 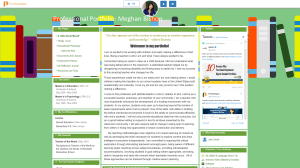 Portfoliogen is easy to use, easy to customize, and extremely professional looking. 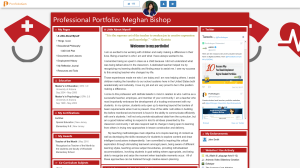 I am so pleased with the service and product provided by Portfoliogen, I recommended it to my other friends and highly recommend it to anyone seeking to create a quality e-portfolio. PortfolioGen has allowed me to create a professional approach to and structure in respect of a previous jumbled Portfolio of Evidence. It allows colleagues and other interested parties easy access to my documentation. PortfolioGen has created such a user-friendly format. It created structure for a person that needed it desperately. A lot of the principals were extremely impressed with my use of technology in creating my portfolio online. I loved that I was able to also see where my portfolio was being viewed and how many times a day it was viewed. I would HIGHLY recommend PortfolioGen to any seeking a job, especially those that value the use of technology. This site is very easy to use. I really appreciate the ability to password protect the entire website since it contains a great deal of personal information. I think this site would be useful to anyone seeking to put together a comprehensive employment portfolio of their education, qualifications, and experience. 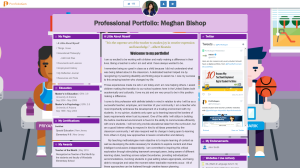 I was not sure how easy it would be to turn my binder teaching portfolio into an online portfolio until I joined PortfolioGen. PortfolioGen is such an easy site to navigate and very appealing to portfolio readers. I am very impressed and as I finish my portfolio I am sure that others who read it will be impressed too. With PortfolioGen, principals were able to see the teacher I am in true form. I was able to upload reference letters, images of my classroom, and, most importantly, videos of my instruction. Principals didn't have to speculate about my ability to teach because they could see it. As a future art educator, I love being able to share my education and experience in a creative way. Over the years my work has taken me to so many different organizations and I feel that my portfolio will help bring all my experiences together in a relevant and meaningful way. PortfolioGen allowed me to put together the perfect visual portfolio. After 10 years of teaching, I needed an uncomplicated precise way to display all my talents. Using this technology put me ahead of the game and made me memorable during the interview. I got the job!